How great to see Villa Lo Scoglio included in travel journalist, Adam H Graham’s top 10 list of places he stayed in last year! Better still, of the 80 properties he visited, Sicily Lo Scoglio in Sicily is the only rental property to hit the dizzy heights. Not that we’re altogether surprised. The architect-designed villa occupies an extraordinary position on a promontory in south east Sicily, with 270° sea views and a grand total of seven different verandas and terraces for soaking up the sun. Stroll down through the gardens to the near-deserted sunbathing platform on the water’s edge and when the heat of the day subsides, make tracks for Syracuse for a quick foray into Sicilian history, food and culture. 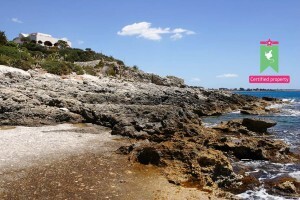 Read the full article or find out more about Villa Lo Scoglio.